Well, I'm sitting in my apartment now as the movers wrap everything up. (We delayed the move a few days so that we could upgrade to business class with points; woohoo!). There's so much I'll miss about the home I've lived in for the past three years and the only one I've lived in with my husband—the coziness, the perfectly pressurized shower, the incredible view of the Boston skyline. One thing I won't miss, though? 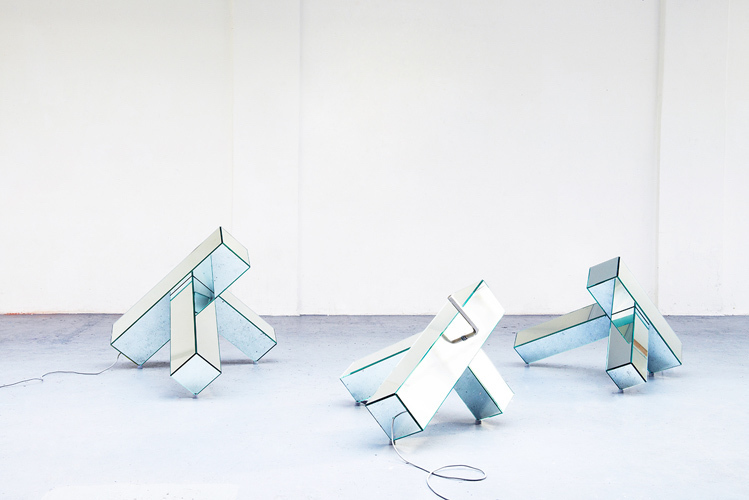 The mirrors! 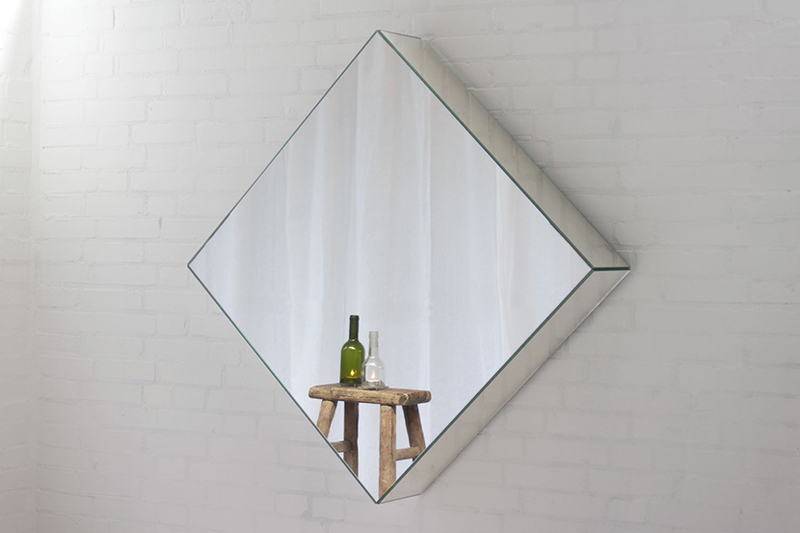 Our living room walls are covered in floor-to-ceiling mirrors. While they certainly make the room feel larger, they also make it feel like we're living in the '70s. Plus, the fingerprints are the bane of my existence. 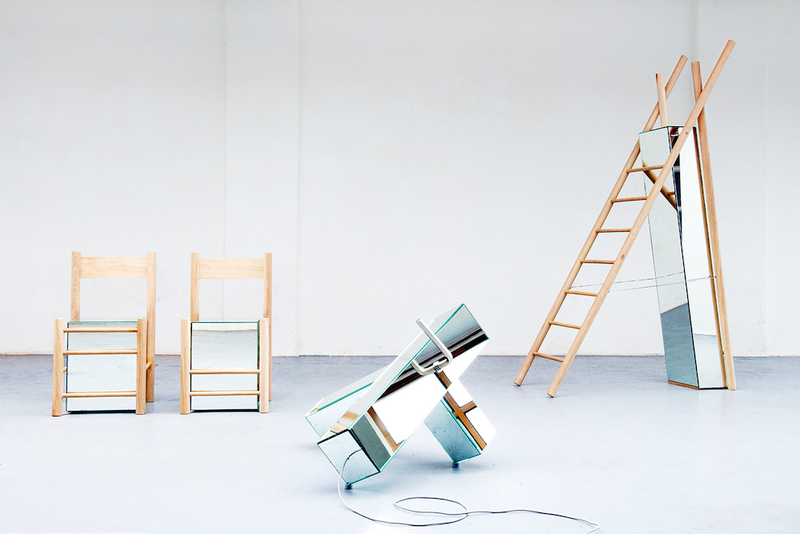 I much prefer my mirrors on my furniture, as in the Reflection Collection by Lucas en Lucas. 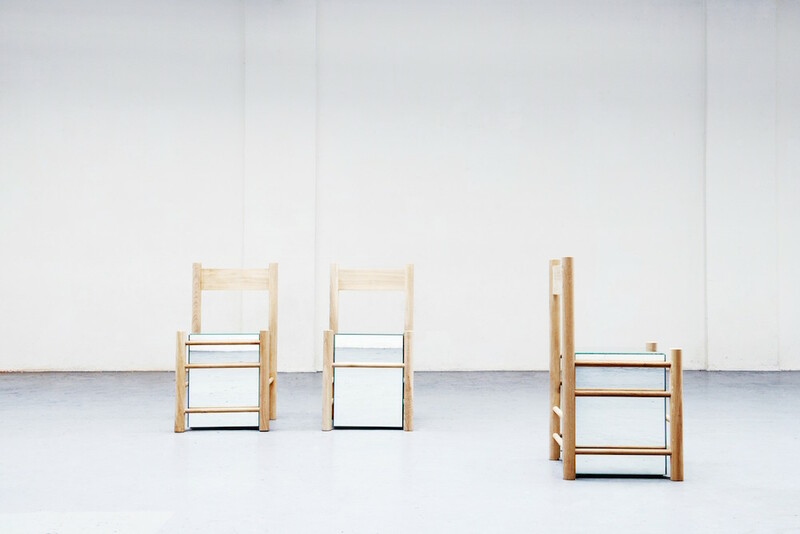 The Dutch husband and wife team of Sander Lucas and Marijke Lucas-Geurts released the collection earlier this year during Milan Design Week, inviting users to look at themselves from a different perspective. 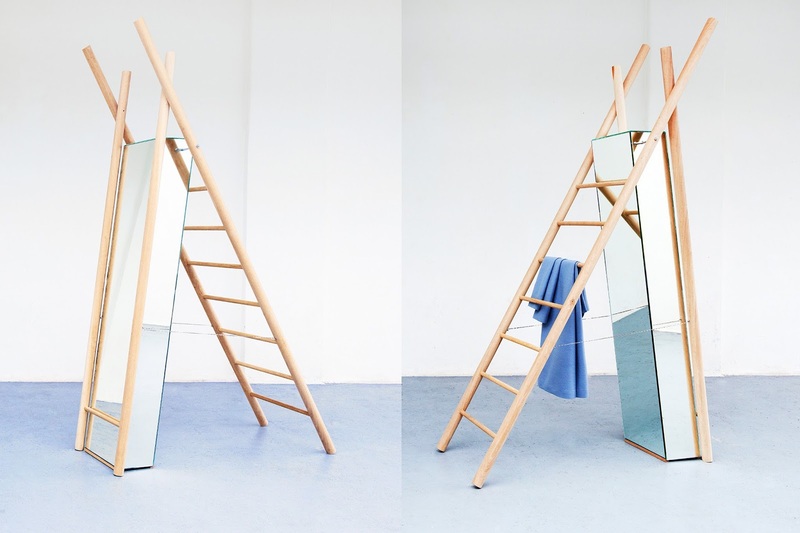 The original three-piece Reflection Collection comprise a simple oak chair around a mirrored box, a faceted floor lamp with an oversized Allen key for a switch, and a ladder-like hybrid of a mirror and clothing rack. 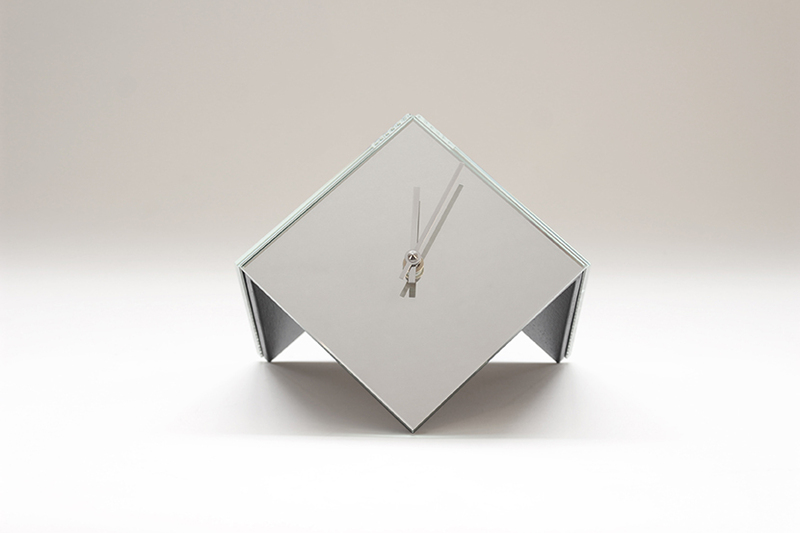 Later, Lucas en Lucas released three more pieces as special editions for Maison & Objet: a faceted table clock based on the designers' previously released Tile Time, a similar but larger wall clock and a three-dimensional hanging mirror. 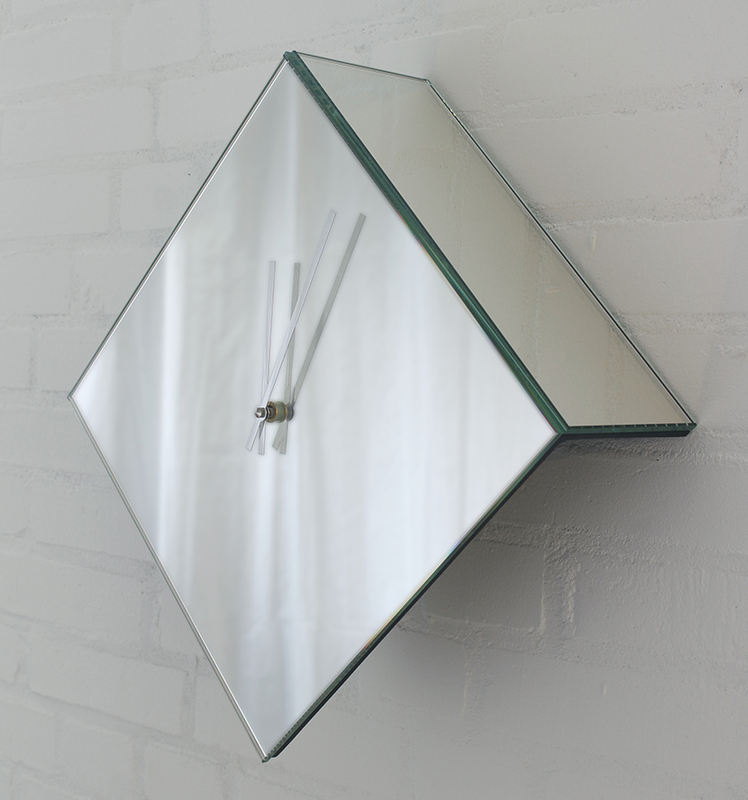 Much better than mirrored walls, don't you think? I can't imagine having that many mirrored walls! These are definitely a better option.